By Eula Biss. Graywolf Press, $24. For those of us without young children, our knowledge of the hot-button vaccination issue is probably limited. We may be aware that TV personality Jenny McCarthy is staunchly antivaccination, that antivaxers believe the inoculations cause autism and other maladies and that polio, measles and tetanus still ravage developing countries. 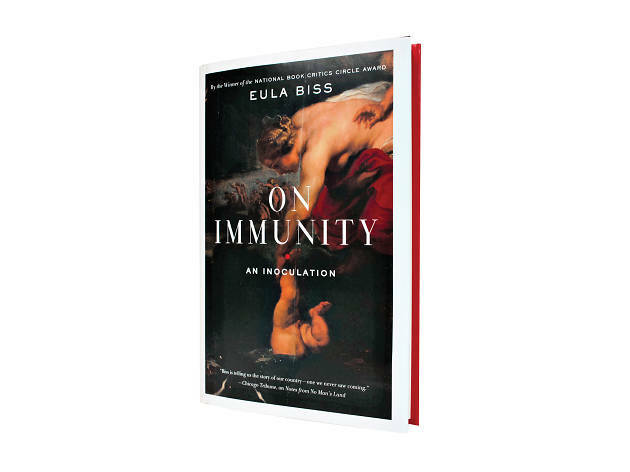 There are many argumentative books on these topics; Eula Biss’s On Immunity is not one of them. 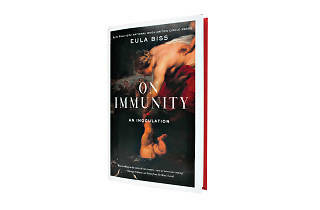 While Biss, the well-informed daughter of a physician, is pro-vaccination, the book is more an attempt to unravel such a narrow-focused duality. From the myth of Achilles (whose mother tried to immunize him from the world’s perils, save that pesky heel) and the scourge of malaria to Dracula and DDT, the author expands a straightforward question—to vaccinate or not to vaccinate—into a multilayered investigation of fear and perception. Her larger—and brilliantly executed—point is that vaccination is not an act of self-preservation but one of community safety, that the vaccinated can protect the abstainers. Without ever entering the realm of the preachy or the obstinate, Biss transposes the idea of vaccination from the cold scientific world to a warmer space of empathy: “If vaccination can be conscripted into acts of war, it can still be instrumental in works of love.” And just like that, you’ll never think of a simple shot the same way again.